"The French enjoy the venue and so too do the South Africans. Mauritius is only a four-hour flight away and a very popular holiday destination so many of the South Africans in the field may have played here before. It’s no surprise to see the course is designed by Ernie Els and its interesting to note that two of the three winners to date are South Africans." This is the fourth renewal of the Mauritius Open - an event tri-sanctioned between the European, Asian and Sunshine Tours. The first two editions were staged in May 2015 and May 2016 so the event didn't actually feature on the 2017 European Tour schedule at all but for the second year in-a-row it's being played alongside the Australian PGA Championship in the second week of the brand-new European Tour season. Having been staged at the original host course, the Heritage Resorts, Domaine de Bel Ombre, last year, this time around we return to the Four Seasons Golf Club at Anahita, where Jeunghun Wang beat Siddikur Rehman by a stroke in very blustery conditions. The Four Seasons Golf Course at Anahita, Beau Champs, Mauritius. Designed by Ernie Els and opened in 2008, the course is described on Ernie's website as being beautifully complemented by surrounding lagoons and breathtaking mountain backdrops. "One of the strengths of this golf course is we were able to maximise the visual impact of the surrounding scenery, but at the same time preserve the coastline's natural beauty," commented Ernie. "The hole- routings move in and out of the trees, along the water, and back, giving players great variety and magnificent views of the ocean." Ernie adds, "Another of the features that makes this course stand out are some of the interesting design touches that we've been able to integrate into the layout; such as the use of existing dry-stone walls as strategic hazards, links-style burns and classic, grass-downed bunkers which reveal just a sliver of sand from the player's-eye view." The course is long with wide, generous Bermuda fairways, deep fairway bunkers, and large undulating TifDwarf Bermuda greens. There was very little rough to speak of in 2016 and the greens were slow - running at just 10 on the stimpmeter but that may have been due to the breezy conditions. There isn't anywhere near as much wind forecasted this time around so they may be set up fractionally fasters. Live on Sky Sports all four days, starting on Thursday at 08:30 UK time. What Will it Take to Win the Mauritius Open? It's tempting to disregard the 2016 result here entirely given it was played in extremely breezy conditions. The winning score of -6 was very high given this is a resort course with wide fairways and little rough. The wind isn't forecasted to be a big issue this week so I suspect we'll see much better scoring this time around but given the greens are described as undulating with run offs, we perhaps need to take note of how important a great short game was last time. Nothing really stood out statistically last time, other than Scrambling but that was very important with four of the top-five ranking no worse than seventh. Of course, the tricky conditions would have helped that, given finding greens would have been tougher in the demanding conditions, and it stands to reason that those ending the week at the head of affairs will have recovered better than the rest but I still think it's relevant. Given the length of the track and the Scrambling stats two years ago, Driving Distance and Scrambling are the two stats I've looked at the closest. In addition to this event in May 2016, the course was also used for the limited field 54-hole Mauritius Masters for the six years between 2010 and 2015. Here are the six winners and I've also included the last two leaderboards. Note the heavy French presence and the fact that both Nicolas Colsaerts and Hennie Otto feature. The French occupied Mauritius for nigh on 100 years and named it Ile de France. French is still the most prevalent language, despite the Brits occupying it for another 100 years after the French, before independence was granted 50 years ago and it's a popular French holiday destination. As for Colsaerts and Otto - they were both (and may still be) affiliated to the course so they're very familiar with the place. The French enjoy the venue and so too do the South Africans. Mauritius is only a four-hour flight away and a very popular holiday destination so many of the South Africans in the field may have played here before. It's no surprise to see the course is designed by Ernie Els and its interesting to note that two of the three winners to date are South Africans. With just the one previous renewal, I'm loathed to come to any conclusions but for what it's worth, three players traded at odds-on last time. 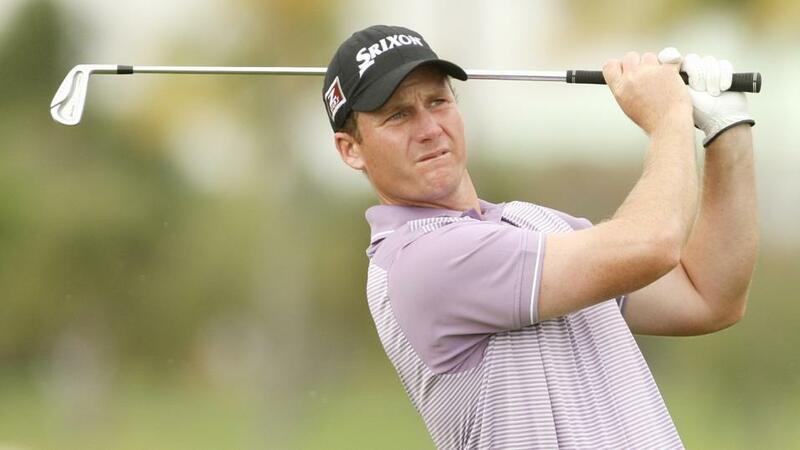 Andrew Dodt folded like a cheap suit on the back-nine on Saturday in round three, but not before he'd been matched at [1.78], and the runner-up, Siddikur Rahman, traded at just [1.06] when he stood on the 16th tee with a three stroke lead! Rahman was clearly feeling the heat, visibly breathing heavily, but he appeared to be holding everything together, holing lengthy putts to keep up the momentum. It all went pear-shaped on 16 though when with the title within touching distance, he drove out of bounds. He double-bogeyed 16, three-putted the par three 17th for bogey, and then couldn't get up-and-down from just off the green on 18 for birdie. Wang went on to win by one. The 16th was the second toughest hole last time with only the par four third playing harder. The two par fives on the back-nine - 13 and 18 - were the easiest holes on the course and nine and ten are short par fours but the start and end of the track are tricky. With the exception of the final hole, the scoring section, if 2016 is anything to go by, is between holes nine and 13. Having lost his way after a very questionable drop at the second hole in round three at the Nedbank, defending champ, Dylan Frittelli, finished a creditable seventh at the DP World Tour Championship last time out, after back-to-back 66s on the weekend, and if he picks up from there, he'll put up a stout defence. He's not for me at a single-figure price though and I'm more than happy to look elsewhere. In-form Englishman, Jordan Smith, has been ticking over nicely for the last month or so and he certainly has the length for the venue but this is his first visit to Mauritius and I'm happy to swerve him too. Nicolas Colsaerts is proving popular in the market but he's not for me at all. He broke the course record here in round two last time, moving from 71st after round one to third at halfway after his seven-under-par 65 but he shot 73-75 on the weekend and was eventually beaten by six strokes. At 36, the former Ryder Cupper has a wealth of experience and of course, he knows the track intimately, but he's still only won one European Tour stroke play event and that was nearly eight years ago. I'm sticking with the South Africans here and I'm backing five of them in total. Zander Lombard has been a pick in this event in each of the last two years so I felt I couldn't leave him out and I've backed Hennie Otto at a huge price given his course connections. The other three are all big hitters with fine recent form and good scrambling figures.